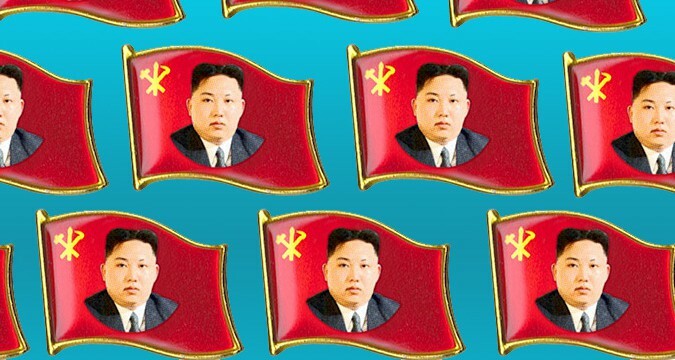 Is Kim Jong Un’s plan working? When North Korea prompts another standoff with the South or executes an official, most of the world unites in its condemnation of Kim Jong Un’s government. Whatever one thinks of the moral dimensions of the Supreme Leader’s actions, though, observers offering policy advice on how to deal with the regime must ask whether or not said actions have a logic. 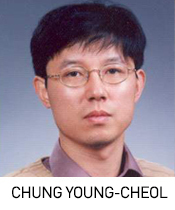 As has been said many, many times, Kim Jong Un is young, with little political experience prior to his father’s death. His actions, whether raising tensions after South Korea inaugurated President Park Geun-hye in early 2013, to purging his uncle later that year, are consistently portrayed as meant to solidify his rule. It’s not asked often enough, however, whether his gambit is working. NK News surveyed a number of South Korean observers to ask that question. Most of those surveyed suggested that Kim’s domestic solidification process is not over, and he will not show much of an interest in inter-Korean ties until that process is over. Though South Korea’s president regularly comes in for criticism for failing to break the impasse, the experts suggested until the process is over, Kim’s priorities will remain on economic growth and domestic security – both from domestic challenges, and through nuclear deterrence. 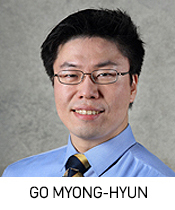 In part 23 of a major new NK News expert interview series, established and rising Pyongyang watchers from the Republic of Korea outlined their thoughts on the state of inter-Korean relations in 2015. 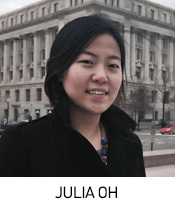 Julia Oh – Fellow, The National Bureau of Asian Research, Washington D.C.
Q23) Much is said of Park’s strategy, or lack thereof, but how should Kim Jong Un’s efforts thus far be rated? After Kim Jong Un was inaugurated, he continually mentioned the need to improve relations between North and South Korea in his New Year’s address. The August 25 high-level contact settlement can be seen as the result of North Korea actively engaging in an initiative for dialogue. As far as what we can see in Kim Jong Un’s regime thus far, he has a more straightforward leadership style and shows something of a consistency in his words, but his biggest worry is unification through absorption. Due to this, unless North Korea is able to overcome the differences in national power (between them and South Korea), they will continue holding onto their defensive reunification strategies. In this context, they will continue talking with South Korea and promoting exchanges and cooperation between the two, but will not let go of their wariness toward reunification by absorption. 2015 was a year of opportunity for Kim Jong Un. First, there was the invitation to attend the Victory Day parade in Moscow. While it carried some protocol risks, such as appearing alongside many other leaders that in North Korean propaganda are deemed inferior to Kim, this could have been ameliorated through negotiations with Putin. 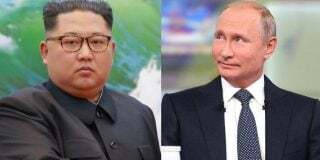 It is likely Putin wanted to use Kim’s attendance to show to the international community that Russia was the only major power that could handle rogue states such as North Korea. Kim could have improved his image, tarnished by the execution of his uncle, as well the Sony hacking, and prove that Russia was on North Korea’s side rather than the South’s. This could also have acted as a way to pressure China, just as Kim’s own grandfather did during the Cold War by playing China against Russia for maximum concessions. Yet he didn’t. The same scenario played out recently with the Chinese Victory Day Parade, but the Chinese were clearly not much incentivized to satisfy Kim’s (unknown) demands. This is the result of Kim neglecting his traditional allies in order to court … no one else. It may be a sign that Kim is more preoccupied with internal issues than external affairs, and also that he believes nuclear weapons are perfect substitutes for foreign policy. 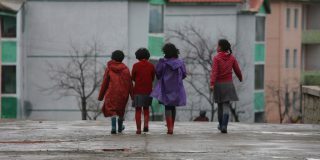 But North Korea needs significant outside assistance in order to maintain its rather low living standards. It can irritate either Russia or China, but not both at the same time. This is so far the biggest policy failure on Kim’s side. There has not yet been a comprehensive analysis of Kim Jong Un, nor has their been enough discussion of his leadership characteristics and future vision. This is because there isn’t enough information about him. But it is still possible to evaluate him to a certain level, taking a look at assorted information and phenomena. Kim Jong Un’s unification policy toward the South is unclear. Considering the few remarks from him on the subject, he has not fully unveiled the unification issue, unlike former leaders Kim Il Sung and Kim Jong Il. Rather, Kim Jong Un’s policy is represented as a two-track policy, focusing on economic growth and strengthening nuclear capabilities at the same time. In other words, it is a two-track policy placing importance on both external security and domestic economic growth. His unification policy, however, has not showed clear contents. The New Year’s address of 2015, which included improvement of the inter-Korean relationship and the possibility of a summit, is all we have to evaluate. On these points, Kim Jong Un’s unification policy towards South Korea is continuing in the vein of the former leader’s line, but yet is more passive than that. 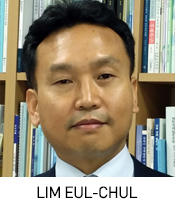 It is not because Kim is passive on the inter-Korean issue, but more because of the current cool-down in inter-Korean relations, and fact he is concentrating on domestic policy for the sake of economic growth. Considering the procedure of the August 25 Agreement and his remarks after that, there isn’t much to define his attitude as passive or negative. 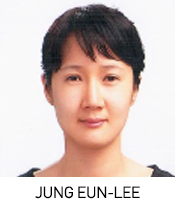 Therefore, it is necessary to induce Kim’s active position toward South Korea, and attract him to the dialogue table. The August 25 agreement can operate as the beginning point toward the improvement. Kim Jong Un’s national goal can be summarized as survival. Kim Jong Un’s policies take on the economic route of developing nuclear weapons and building the economy. The reason why North Korea needs to develop its nuclear capabilities is because they can pursue the development of nuclear weapons rather cheaply, which can overcome the disadvantages of their military. As Hiroshima and Nagasaki proved, nuclear weapons are weapons of mass destruction that carry serious ethical problems and are difficult to use on a small landmass such as the Korean Peninsula. On one side, South Korea is the one that is threatened by the development of a nuclear weapons program in North Korea, but there is also the aspect in which it can be used as a way to negotiate with the United States. 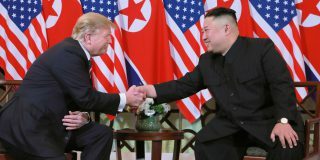 There are many ways to make North Korea give up its nuclear weapons program, such as allowing exchanges with the United States, developing diplomatic ties with the U.S. and signing a treaty with the U.S. to guarantee the continuance of the regime. Kim Jong Un will continue to use a sticks-and-carrots approach in the future while dealing with South Korea. Kim Jong Un’s policy toward South Korea seems deceptive and lacks consistency because it puts priority on maintaining the North Korean regime as well as pursuing dialogue with the U.S. and China and, secondly, using cooperation between the North and South for exchanges rather than pursuing peace. In order to root through this combination of moderation and hard-line policies, we need to administer South Korea’s economic influence onto the capitalist North Korean economy. The North Korean middle class are wild about the Korean Wave (South Korean popular culture) as well as products made in South Korea. This shows how South Korea can directly and creatively penetrate to reach the North Korean people. 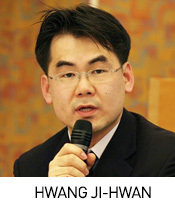 The South Korean government needs to pursue a long-term policy where it opens up the North Korean economy widely while dramatically increasing the presence of the South Korean economy in the North and using this as a lever can fundamentally block Pyongyang from any further military provocations. Currently, Kim Jong Un is more focused in dealing with North Korea’s domestic matters rather than inter-Korean relations. 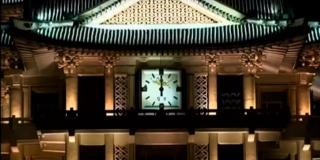 Kim Jong Un’s New Year’s address or speeches after the 8.25 agreement were not so different from what his father, Kim Jong Il, mentioned before. This is probably because North Korea’s position on the inter-Korean relationship has not changed much from Kim Jong Il’s era. North Korea will be able to suggest a new angle on the inter-Korean relationship only when Kim Jong Un strengthens his government’s legitimacy and can bother to think of a new inter-Korean strategy. But as of now, North Korea only uses South Korean-led unification strategy as a means for criticizing Seoul, thus building more strength in domestic politics. 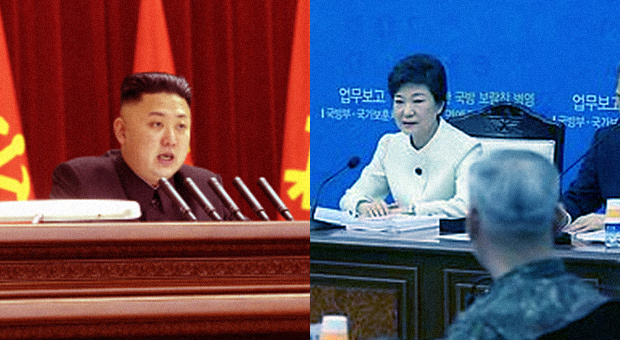 Currently North Korea is not in any position to lead on inter-Korean policies, but yet it will seriously consider the future political conditions of Northeast Asia and South Korean policies as well. Pyongyang may expect that the future inter-Korean relationship would be far better than what they had to endure from 1990 to 2010. Kim Jong Un is pouring far more effort into developing nuclear weapons and missile technology than his predecessor, Kim Jong Il, did during his time. In these circumstances, it is hard to expect that a truthful effort toward unification will come from Kim Jong Un, who is ultimately using missile launches and nuclear weapons development to strengthen his regime from the inside. Many specialists said that Kim would launch a missile or conduct a fourth nuclear test sometime following the October 10 70th anniversary of the Workers’ Party of Korea. While it didn’t happen, the pattern of provocations we’re used to will return and in the long-term, weaken Kim’s position among the international community and corner his regime, rather than strengthening him. Such provocations will draw back the entire positive atmosphere that the recent 8.25 Agreement brought to the Korean Peninsula. Subscribe to read the remaining 1920 words of this article.